Wait, this actually looks terrifying. How do I catch up? Tokyo Ghoul, the story of flesh-eating monsters taking over Japan’s capital, began in 2011 in Sui Ishida’s dark manga series. In 2014, Tokyo Ghoul debuted as an anime in Japan. American fans began streaming internationally, watching the horror unfold from across the Pacific, but Adult Swim began airing the anime from the first episode in March 2017. 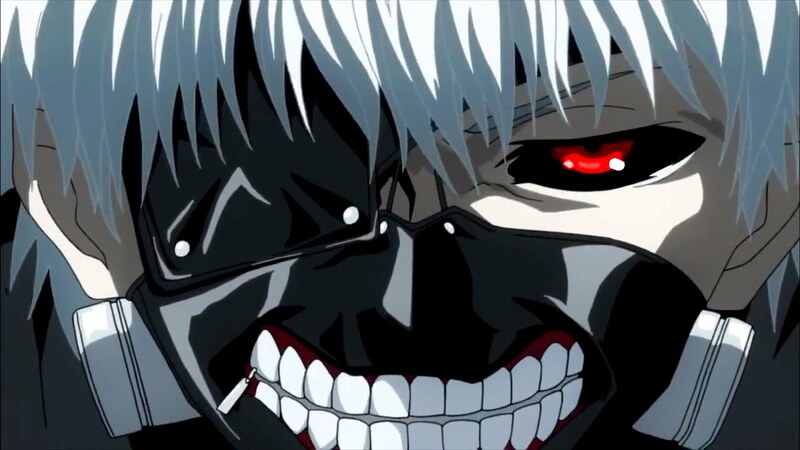 Fans of gory, dark fantasies from around the world have been waiting for Tokyo Ghoul Season 3, but Funimation announced this week that the series is on hiatus until Kentarō Hagiwara’s live action film debuts in Japan this summer. That means it’s a fantastic time to get on board with Tokyo Ghoul before it becomes an even bigger sensation around the globe. So What’s the General Gist of the Show? When Japanese college student Ken Kaneki goes on a blind date with Rize Kamishiro, he realizes she’s a “ghoul,” a flesh-eating creature disguising itself as a human to track its prey. He’s taken to the hospital after the attack, and when he wakes up, he discovers he was turned into a half-ghoul when the surgeons used the late Rize’s organs to replace his damaged human ones. Now saddled with a hunger for human flesh, half-ghoul Ken enters the half-ghoul subculture, which centers around a ghoul-run coffee shop called Anteiku. Yoshimura, the ghoul who runs the coffee shop, teaches Ken how to hide his new nature from human society. Viz Media still publishes the Tokyo Ghoul manga, which is up to Volume 12, with a new volume coming soon. Adult Swim airs the Tokyo Ghoul anime on Sunday nights at 1 p.m. Eastern, and Episode 4 will air this Sunday. You can catch up on the first three episodes on the network’s website. Watch the full trailer for Tokyo Ghoul below. The live-action Tokyo Ghoul film hits Japanese theaters on July 29. There is no set release date for Season 3 of the Tokyo Ghoul anime.